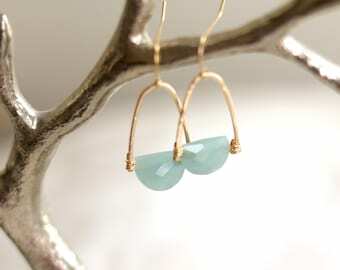 This faceted Aquamarine gemstone has beautiful facets that make it gently shimmer. 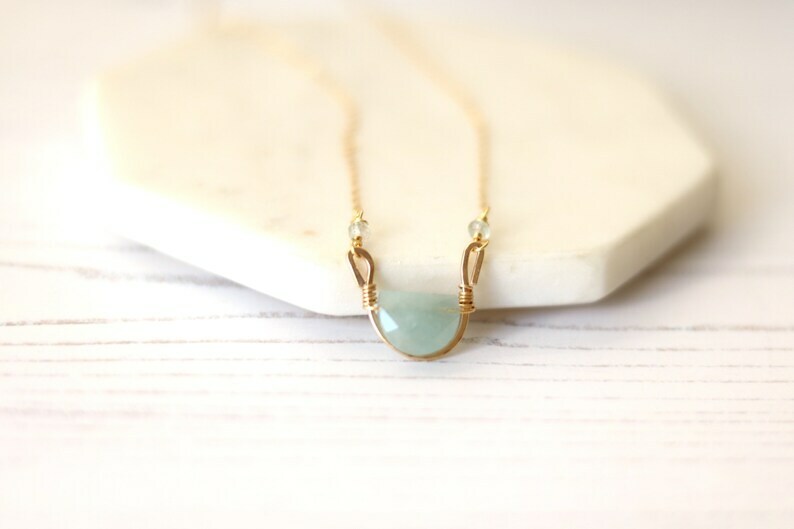 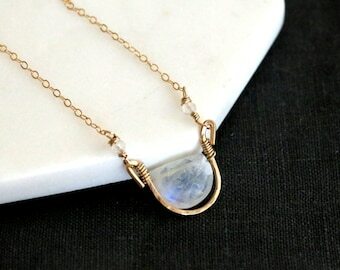 Its unusual shape is highlighted by a 14K goldfilled bezel that I've hammered and textured, and paired with wire wrapped aquamarine gemstone rondelles. 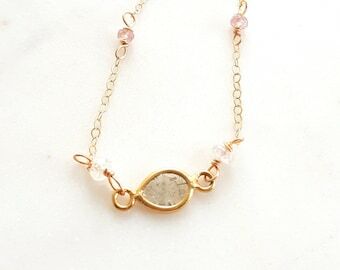 This One-of-a-kind necklace will earn you many compliments and it's beautiful hues means that you can wear it with almost anything. 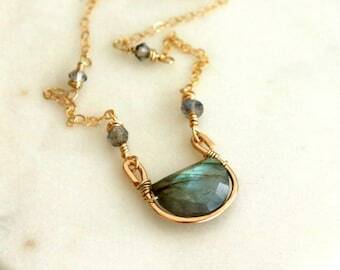 My labradorite gemstone necklace was worn on The Vampire Diaries.